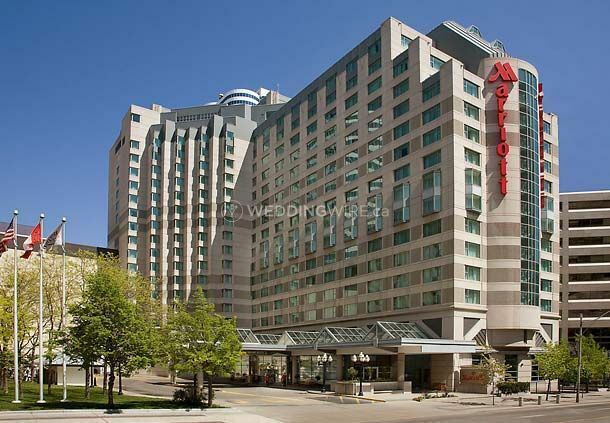 Marriott Toronto Downtown Eaton Centre ARE YOU A VENDOR? 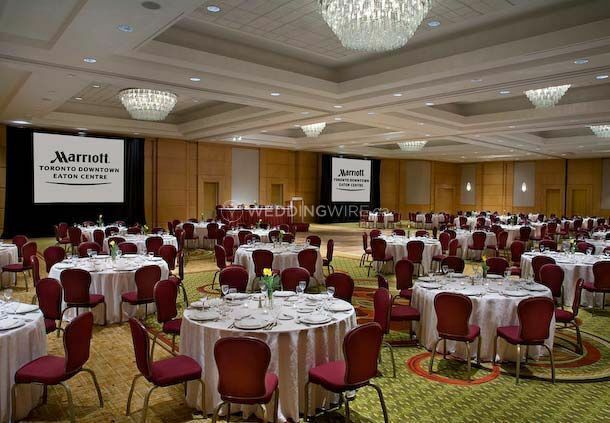 Marriott Toronto Downtown Eaton Centre is a fantastic hotel venue located in the heart of Toronto that specializes in providing ideal facilities for weddings and other types of events. 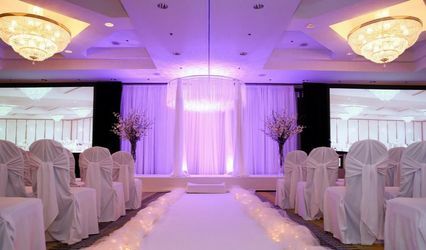 The professional, friendly and attentive staff will be your go-to group of people that will assist you with anything you need for your wedding so everything comes out perfectly. 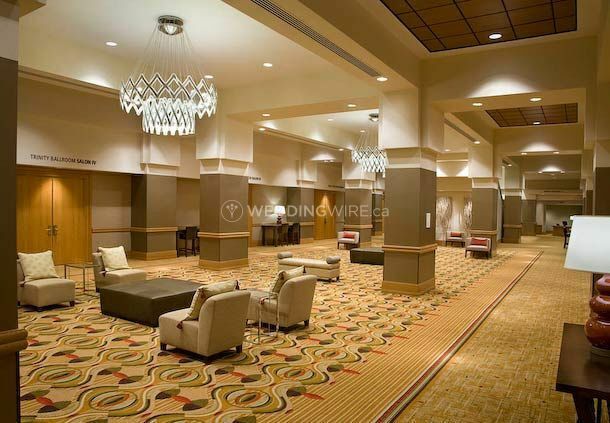 Offering many event spaces, some dividable into smaller rooms, the facilities found at this hotel venue include large spaces such as the Grand Ballroom, Trinity Ballroom and Banquet Level Foyer which can accommodate 850, 600 and 600 guests, respectively. 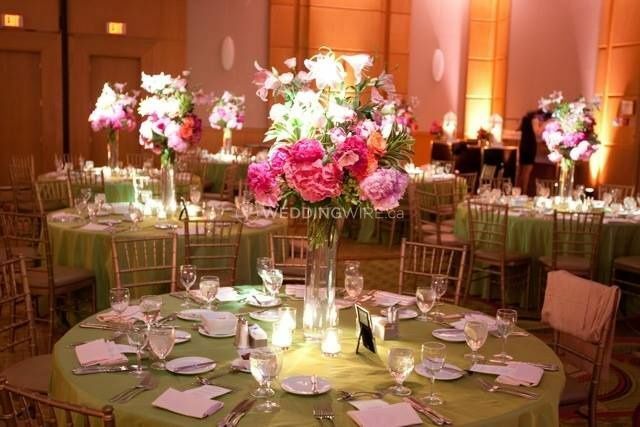 The King and Carlton rooms are good for mid sized weddings of up to 100 and 90 guests, respectively. 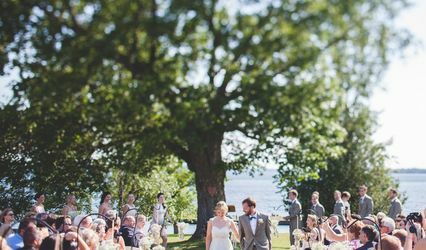 Smaller weddings will find the Simcoe (70 guests), Bay (90 guests), Bloor (24 guests) and York (180 guests) Rooms perfect. 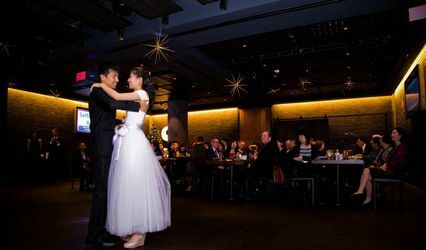 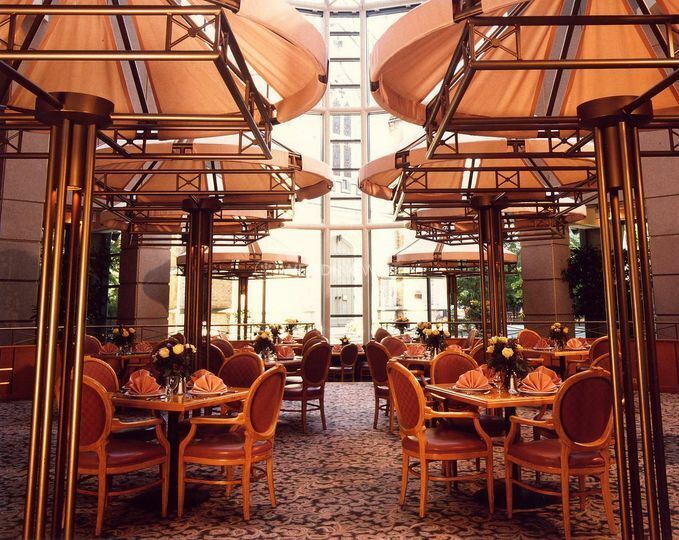 There are many culinary possibilities offered for your wedding reception at this Marriot hotel. 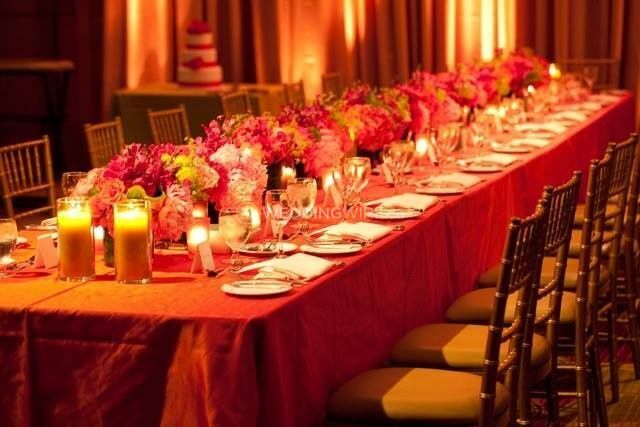 From unique finger foods to buffets, plated options and even a s'more station, your event's cuisine can be personalized to satisfy everyone's tastes. 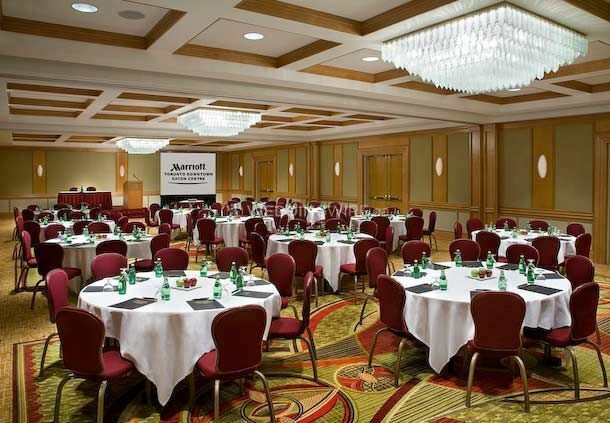 This smoke-free hotel offers comfortable accommodations for you and your guests. 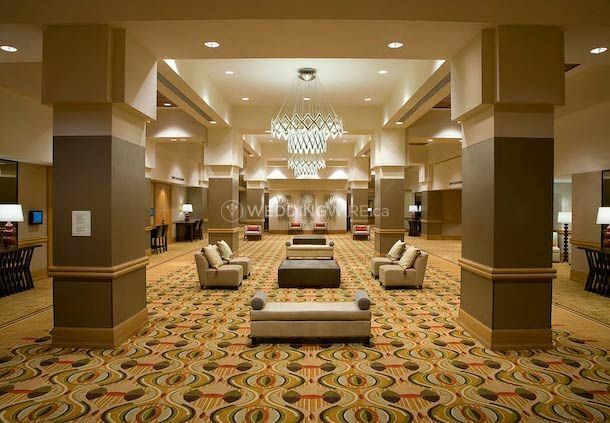 These rooms offer private balconies with spectacular views of the city skyline, a flat screen TV, coffee maker and luxury beddings, your stay will be an enjoyable one.